If you put things off, struggle to be effective and get things done, you may need help with how to overcome procrastination and laziness. Bur if you procrastinate, you are not alone, many people do it. Putting things off initially gives you a feeling of elation as you avoid doing some task or job you don’t want to, or don’t like doing. But eventually this bad habit bounces back on you. You can start to feel overwhelmed by what you aren’t doing and that leads to stress and anxiety. Stress, as we all know, is one state you don’t want to feel very often if you want to experience good mental and physical health. If you are looking to find out how to overcome procrastination and laziness then this article will introduce you to an audio product that can definitely help you. You can stop procrastinating with binaural beats ! I’ll discuss the nature and reasons for procrastination later. For now, I’ll assume you are here looking for help to stop procrastinating and I will describe this set of audio files I really think will help. 1 A Meditation to reduce procrastination ? 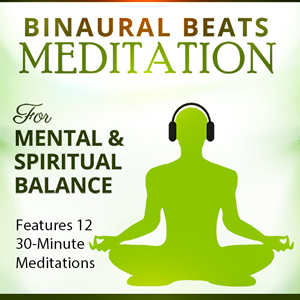 2 How do Binaural Beats Subliminal Audios work? 4 What do Binaural Beats do? 5 How does this procrastination music help? 6 What files do you get and how do you use them? 7 What does this overcome procrastination music therapy cost? 8 What is procrastination and are you a procrastinator? 9 Why is it important to stop procrastination? 11 Inside the mind of a procrastinator Video! A Meditation to reduce procrastination ? If putting things off is a habit, then, like many habits, you can consider tackling it with a subliminal binaural beats audio track. How do Binaural Beats Subliminal Audios work? 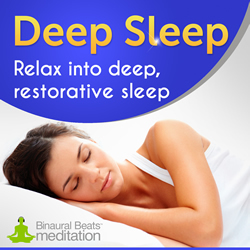 This solution works by playing subliminal affirmations over binaural beats and calming music. These affirmations are positive statements that have been recorded at a level below that which humans can consciously hear. When you listen to these messages either through headphones suitable for binaural beats or just over open speakers they reach your subconscious mind. The subconscious mind is where you store all the beliefs that lead to you habits and behaviours. If you listen frequently, these new positive messages will start to affect your subconscious by literally changing the map of the way you think. You will replace old, limiting negative beliefs with new positive enabling ones. This will in turn lead to a change in the way you think and, therefore, in the way you behave. So often we try to change our habits just by thinking about them. We tell ourselves we will take more action on tasks but our conscious mind just cries BS! It deceives by telling us it knows us well and we’ll never change and we believe it. Trying to change habits just using willpower to influence your mind often just isn’t productive. Our deceiving subconscious uses deep seated beliefs we have of self-doubt and fear such as “I might not be able to do this” or “I’m not good enough” to persuade us to give up our attempts at change. It uses a psychology of fear to encourage us not to change. But because our conscious mind isn’t aware of the subliminal messages subtly embedded in the music, it cannot judge them and try to tell us we are wasting our time. It cannot block what it doesn’t hear. Instead the positive affirmations go straight to your subconscious mind which is non-judgemental and accepts everything you tell it as being true and accurate. If you listen often the positive messages will start to overcome the negative beliefs we have that us procrastinating. Your conscious mind will start to align with the new positive beliefs and your behaviours will follow. You will stop battling against your willpower over getting things done and you will feel more in command of your habits and choices. It is generally well known that our brains generate electrical impulses that can be measured by EEG Machines in hertz. The combined activity is known as a brainwave pattern and it is important to note that the state of our mind is dictated by the state of our brainwaves. When our brainwaves are in a particular pattern, we can predict the state of our mind, and therefore how we will feel. It makes sense to be in a healthy brainwave pattern as often as possible. But these naturally occurring states are often elusive and we struggle to achieve them without help. We find it difficult to relax, concentrate or sleep and need help to get into the brain states to make these things happen. Binaural beats can put your brain into the specific state that you want to be in. If you want to know a lot more, click here to read my article on what binaural beats are. 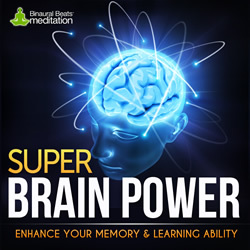 Binaural beats and brainwave entrainment are audio files that use tones within the audio that guide your brain into a state that will help you achieve your goals. 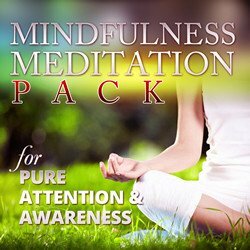 In this particular procrastination meditation, as you listen to the relaxing music, the conscious mind relaxes into a state of heightened receptivity. This will allow the positive affirmations to reach your subconscious without being judged by the self-limiting beliefs that control your habits. How does this procrastination music help? 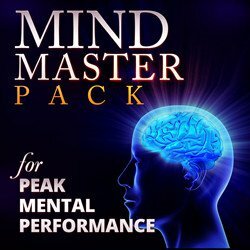 This particular meditation to reduce procrastination uses Theta waves to guide your mind into a deeply receptive state so that the affirmations can better penetrate your subconscious mind, and ‘stick’ there. Spending time in the Theta state is known to give many of the benefits of meditation including greater mental clarity and focus and higher productivity. Theta occurs at brain frequencies of 4Hz – 7Hz and is associated with improved inner guidance, the stimulation of memory and productivity. These states are all useful in overcoming procrastination habits. The underlying music features the sound of ocean waves reaching the shore. This sound has been specifically chosen because studies have shown that listening to natural sounds such as the sea, or running streams, can help improve our mood, concentration and productivity. There are 15 subliminal affirmations running in a loop beneath the sounds in the files. These affirmations deposit personal, positive, present tense statements packed with emotion directly into your subconscious. An example is “I enjoy getting things done”. Check out all 15 affirmations here. What files do you get and how do you use them? Music with Theta binaural beats and subliminal affirmations in a 30 min and 60 min version. Music with Theta binaural beats and audible affirmations in a 60 min version. Silent affirmations without music in a 120 min version. Listen through speakers while you work, read or even sleep so long as you are within earshot of the music. You won’t get the benefit of the Theta binaural beats listening this way (ie without headphones) but the music is relaxing anyway. You will still get the full entrainment of the subliminal affirmations. The silent affirmations can be listened to through headphones or speakers. There is a two hour track that contains just the subliminal affirmations and no music or beats. You can’t actually hear anything when you play this track but the subconscious entrainment will still be going on. This is ideal when you don’t want to disturb others. You can even play it on repeat while you sleep! You should initially listen for at least 1 hour per day for two weeks. After that you can decide how often you want to listen to top up the effects and set your own schedule. What does this overcome procrastination music therapy cost? Surprisingly affordable for what it promises to deliver! Under $10. The Company want you to be happy with your purchase so they offer a 7 day window in which you can ask for a refund if you don’t like it. You’ve nothing to lose. Regular listening to this procrastination music therapy can help you create a can-do, action taking mindset that will lead yo to do what you need to do when you need to do it. Don’t put it off, order this helpful product and overcome procrastination and laziness with binaural beats now! What is procrastination and are you a procrastinator? Procrastination is an insidious activity that can seem harmless but really isn’t. It is the habit of avoiding important tasks or putting them off in favour of time wasting activities that don’t really further your goals. You are a procrastinator if you spend more time thinking about doing things than actually doing them. Or if you imagine and plan activities but rarely get around to starting them. We probably all do it times in our lives but it can become a habit that eventually controls your life. It can impose limiting restrictions on you and start to control your life. Why is it important to stop procrastination? If you tend to procrastinate, it is extremely important that you notice the habit and take steps to break it. When you get into a habit of putting things off, it starts to feel easier not to do the task. You get an initial sense of elation because in your mind you no longer have to do it. But there are many situations that really do have a deadline, and there will eventually come a time when it has to be done to avoid negative consequences. At that stage, the feelings of elation disappear and are replaced by panic to beat the deadline. The procrastinator feels great stress. And, as we all know,stress is a great disrupter of good health and often leads to disease and ill health. Resources needed by the body to fight disease are used up in dealing with the stress and the body suffers. The short term stress you feel while catching up for the deadline is unlikely to affect your health in itself. But procrastinators often do it for all their tasks and increased stress levels become the norm. Stress related disorders often follow. People who don’t put things off don’t get the feelings of elation but they also don’t get the stress of panic later. Overall, people who prepare and complete tasks in good time will experience a lot less stress. Putting things off can also affect your family relationships and others in your social circle. For example, if you get a form from your child’s school before they can take part in a trip and you put off filling it in, they may miss the trip and not be very happy with you. It can cause you serious problems at work too. If you are a member of a team and continually miss deadlines, this will cause disharmony with your work colleagues as they also suffer the failure, and almost certainly damage your career. If you want success in your career, you need to employ strategies so as not to put things off. You can also feel financial pain if you constantly put things off. Not filing your taxes on time, or bothering to supply the proper documentation can lead to fines and cost. Missing paying your credit card bill through negligence will cost you interest. And it all usually takes up much more time than if you had just completed the task in the first place! Inside the mind of a procrastinator Video! When you get into the habit of procrastination, it becomes easier to put things off than do them. You let distractions get in the way of getting things done. You might not even understand why you are procrastinating, and you may not procrastinate over everything. But as soon as you notice yourself doing it, you need to take steps to break the habit and replace it with an action habit. The good news is that stop procrastinating subliminal can help recondition your mind into taking action and breaking this awful routine. 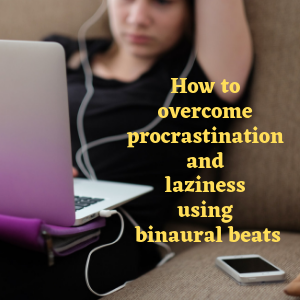 I hope you enjoyed my thoughts on how to overcome procrastination and laziness with binaural beats. Try it! You’ve very little to lose. If you did, please consider leaving a comment. It would be great to hear from you.